Tickets from £15.33 Includes service fee and £1.20 facility fee. A £2.55 admin fee applies. 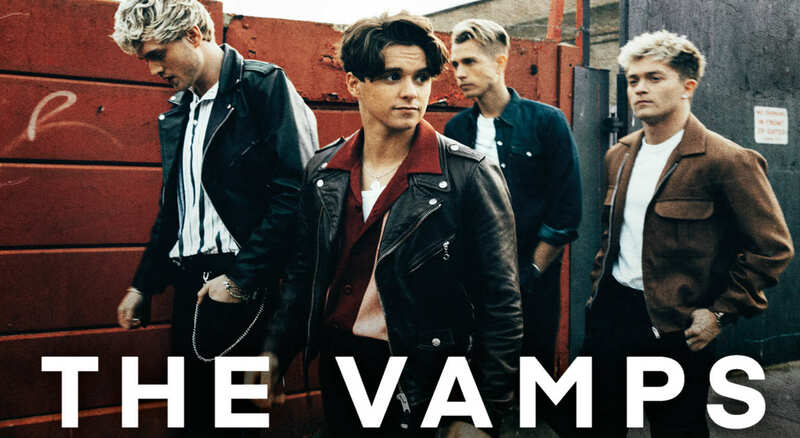 The Vamps will retun to the UK in 2019 with their Four Corners UK & Ireland Tour, hitting Birmingham on 3rd May! The band's most recent album Night & Day (Night Edition) scored the top spot on the Official Albums Chart and also stormed into the Top 10 on iTunes in over 20 countries. Their most recent tour also saw them sell over 100,000 tickets! Get your tickets now to see Brad, James, Connor and Tristan in Birmingham, where they'll be joined by pop-rock trio New Hope Club and rising star HRVY.